Will VW lawyers have wriggle room? Volkswagen has apologised for its cheating diesels and announced a recall. Can it be forced to pay billions of dollars in fines? SO IT’S TRUE. Volkswagen, the world’s top-selling car company, cheated. And now it’s facing a multi-billion dollar fine and massive damage to its reputation worldwide. But that’s only the first surge of a tidal wave that could drown the company, and engulf the entire automotive industry. This is the biggest automotive scandal in modern times. This is not a poorly fitted floor mat fouling an accelerator pedal, or a faulty ignition. Neither is it an attempt to cover up shortfalls in tyre quality. And it’s worse than the 34 million unit Takata recall over airbags that had the potential to send shrapnel into occupants. Those high-profile faults were largely results of oversights. Dieselgate is worse, because it was not a mistake. 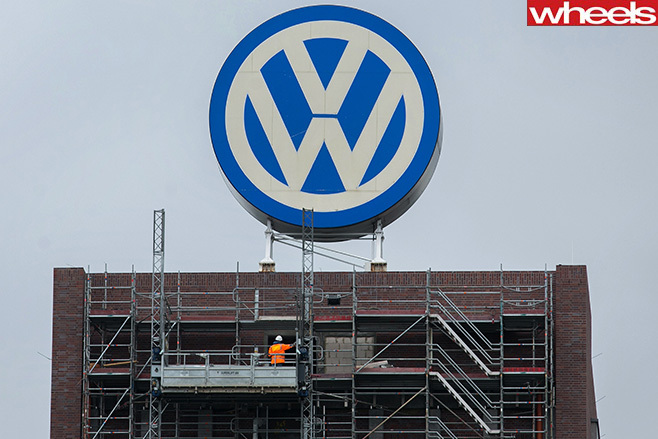 Volkswagen planned to cheat. Volkswagen AG, to its credit, acted quickly once the world learned of its deception – ironically thanks to diesel advocate John German. CEO Martin Winterkorn apologised on behalf of the company he led for almost nine years, for breaking the trust of its customers and the public. VW then admitted that the problem encompassed 11 million VW, Audi and Skoda vehicles, far more than the initial 482,000 alleged by the EPA in the US. Winterkorn offered his resignation to the VW Group board. It was accepted. More heads are set to roll. So we know VW cheated. We know they are sorry. We know heads are rolling. We know they have vowed to do everything possible to rectify the situation and win back consumer trust. And we know this will mire VW in financial hardship for years to come. The total bill could hit $72b, says investment bank JP Morgan. But one big question remains: Did VW break the law? Morally and ethically, Volkswagen’s decision to vastly understate real-world emissions of a toxic gas is reprehensible. But the legal issue here is yet to be tested. The answer lies somewhere in the US Clean Air Act, a document that runs to 465 pages and was last updated in 2004. I have two questions. Does the wording provide wriggle room for a car to be engineered with a ‘test-bed’ emissions tolerance different to its real-world emissions? And are such devices legal? The Dieselgate story still has much to tell, and it may be years before the courts decide if VW broke the law. One thing is certain: Finding the answer will make many lawyers richer, on both sides.